Today's lab will require that you arrive in lab at 1/2 hour intervals. Please knock on the door loudly so we can hear you in the TC facility. 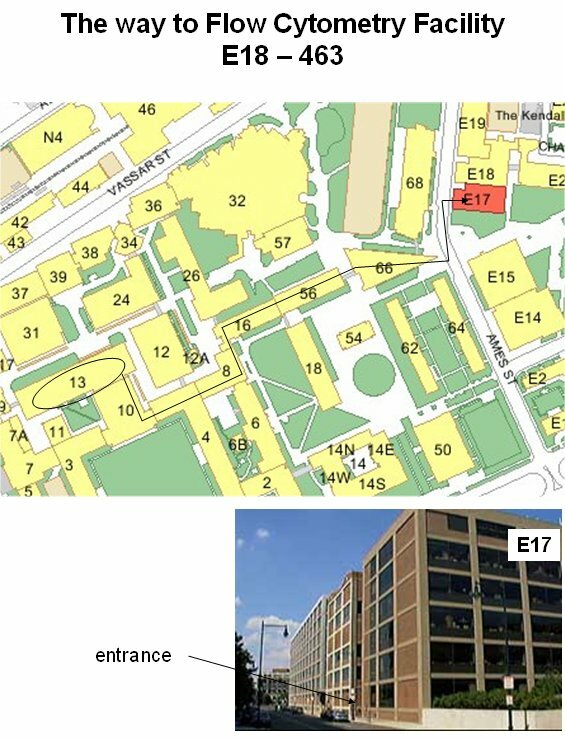 Here is a map for finding building E17 (or E18) where we will perform a flow cytometry analysis. This page was last edited on 9 March 2006, at 06:12.